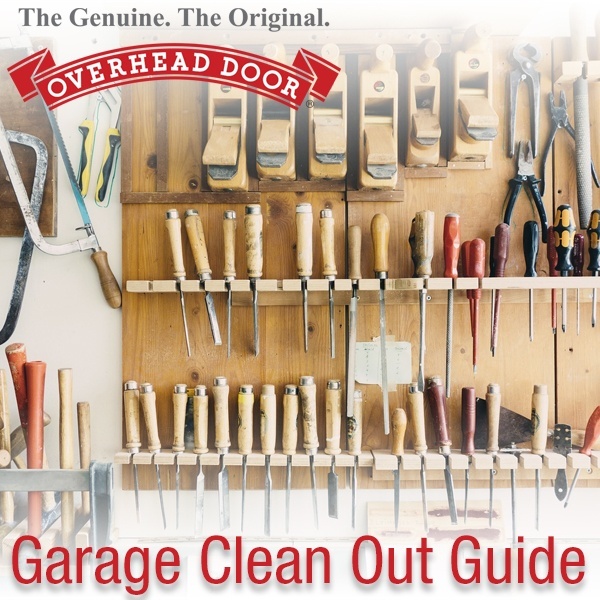 With spring here and summer right around the corner, it's the perfect time to get that garage cleaned out and organized. Nothing is better than walking into a neat and clean garage. Today we will be sharing some of the best tips and tricks to keep in mind when you are tackling the garage. The first step is oftentimes the most tedious but it is also the most important. You need to move everything out of your garage. You will be starting with an "empty canvas" so to speak. As you are moving stuff out of the garage, throw away items you no longer use, items that are broken, or garbage that has accumulated in your garage. If there are items you do not use that are in good shape and you can't bring yourself to throw them out, consider donating these items to a local goodwill. Once your garage is empty, you will the cleaning process. Use a vacuum with a longer attachment to clean up in the rafters of your garage. You want to get rid of any dust or cobwebs that might be hiding up there. If you do not have a "finished" garage, you will want to do the same for the walls of your garage. Vacuum up any webs or debris lingering on the walls of your garage. Since we started with the ceiling and walls, any dirt that made it's way to the floor will be getting cleaned up now. Finish off by sweeping your garage floors and running over them with the vacuum too. Don't forget to really focus on the base perimeter of your garage. Since your garage is clean and empty, this would also be a great time to spray for bugs and spiders if that is something you choose to do. If you are going to use a spray to repel spiders, read the instructions carefully and consider wearing protective gloves. Peg Boards- If you are storing tools out in the garage but feel you do not need to have a big and bulky toolbox, consider adding a pegboard to a wall in the garage. Purchase peg accessories to hold all of your tools. Bike Hooks- Add bike hooks to the ceiling or rafters of your garage to store your bike in a hanging position. This will save you so much space. Use Your Ceiling- Store totes and seasonal items in the rafters of your garage. If you have a finished garage and do not have access to your rafters, consider adding overhead garage storage on your own. With these garage cleaning and organization tips, we know you will have your garage looking immaculate in no time. For more information and useful tips on the upkeep of your garage, check out our blog! Do not hesitate to contact us with any additional questions, or if you are considering a new garage door as the finishing touch to your clean out. We would love to help.